Learn how to choose a template for a lesson. 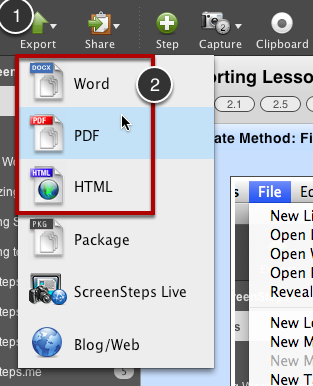 Select Word, PDF or HTML from the Export menu. 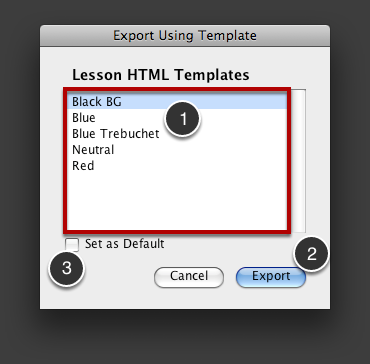 Select a template from the list (1) and select Export (2). If you would like the selected template to be your default template then check the Set as Default (3) checkbox. You will then no longer see this screen when you export. Your default template will be used each time. If you need to change the default template later on you can do so in preferences.